Escape the cold temps with a hot bowl of ramen that's made just for you. I've always been adventurous when it comes to food. In fact, some of my earliest creations as kid began with Top Ramen. I experimented with my own bowls that ranged in flavors, spices and later added fresh veggies. My new addiction even led me to be charged with Grand Theft Teriyaki! Well – let's just say that I may have "borrowed" my Grandmother's bottle of Teriyaki sauce in pursuit of adding new flavors to my palate. Fast forward twenty years later and my love for ramen is still going strong! I'm not one for stealing condiments any more, but feel free to borrow these ideas when you need to fulfill your next ramen craving. West Dallas; 1888 Sylvan Ave.
You can slurp all you want at Ten Ramen. In fact, it's encouraged! Just don't ask Chef Teiichi Sakurai why his place doesn't have seats. Reminiscent of the ramen shops that dot just about every corner in Japan, this authentic ramen joint channels all their energy into their dishes rather than in the décor. As is the case with most small quarters, it gets packed quick but for good reason. Place your order at the iPad, add your own mix of fresh ingredients and the chefs will do the rest. The Shoyu Ramen is always a sure bet but be sure to keep an eye out for some of their rotating specials they add throughout the year. Arts District; 1722 Routh St. When you're feeling a bit fancy you can't go wrong with one of Dallas' five-star restaurants. Tei-An is wrapped into the heart of Dallas' Arts District with a menu that was designed for exploration. One of the most unique items is the Soba sampler. Their hand-made Soba noodles are served fresh alongside a mix of dipping sauces. Bring your chopstick A-game, although a fork will suffice for each delicious dip. 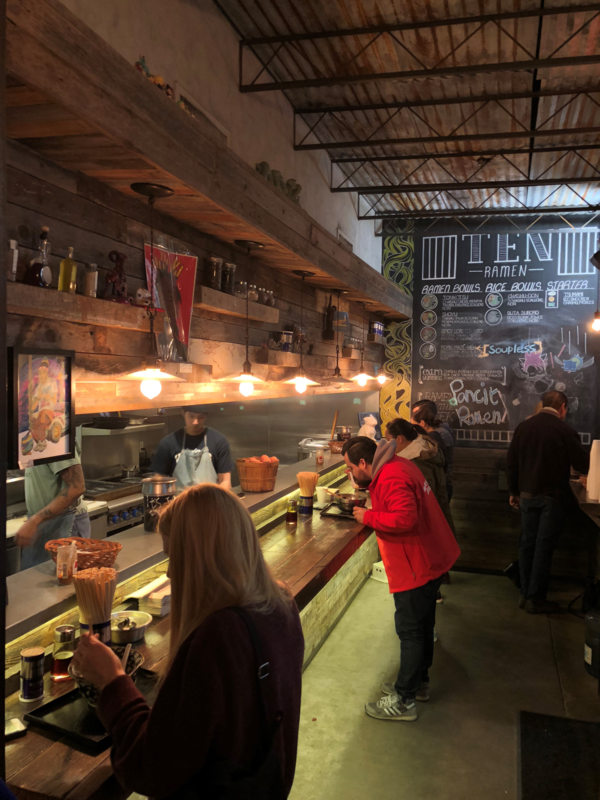 Deep Ellum; 2822 Elm St.
Oni Ramen is another Deep Ellum favorite that prides itself on simplicity and flavors that will knock your socks off! Each dish is prepped and served with TLC to deliver a meal that tastes just as good as it looks on Instagram. The Kyushu Tankatsu is a house specialty that's served with melt-in-your-mouth slices of pork belly and a selection of veggies that you can customize to taste. Add a little heat to your meal with five levels of spicy. Start with mild or go all in with the demon level, made with Scorpion and Carolina Reaper peppers. Deep Ellum; 2724 Commerce St. Grab a table with friends or go solo and belly up to the bar inside this laidback spot. 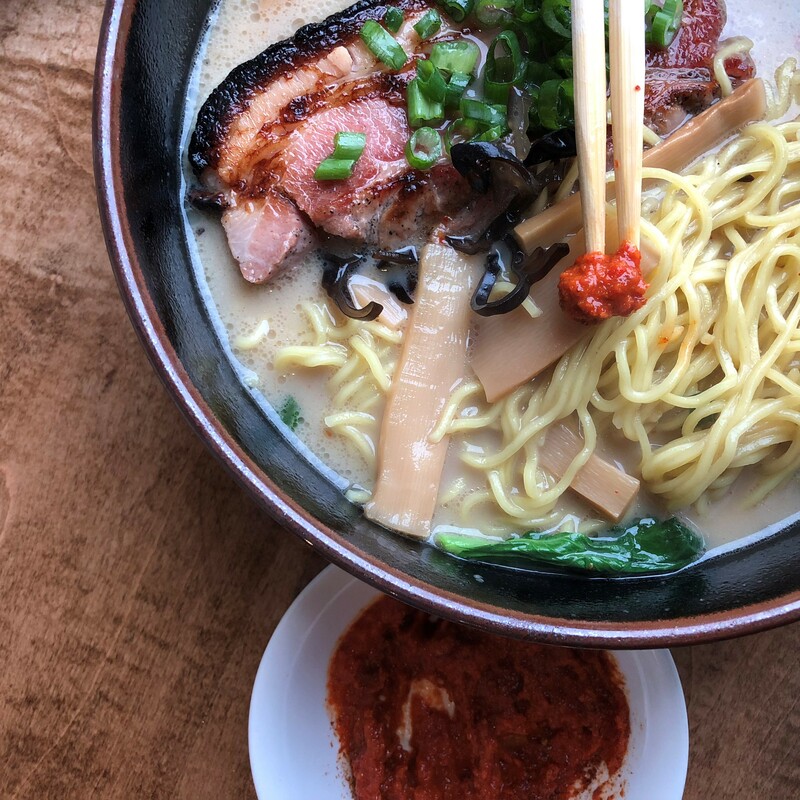 The Tonkotsu is a house favorite - it's full of flavor and a broth that will warm your soul. I love to add a little fried tofu into mine. If you're feeling bold, ask the chef to ditch the broth. The Spicy Garlic Shrimp goes perfectly with the thick cut ramen noodles. With a seemingly endless amount of options out there, it's so incredibly hard to pick a favorite. So I'll just leave you with one final suggestion: sip, slurp, smile and repeat. Daniel loves exploring Dallas' growing food scene and hitting the Katy Trail as often as he can. An avid soccer fan, you'll find him kicking it on the soccer fields all across town throughout the year. Give him a shout if you have the inside scoop at any new foodie spots in town. Ballet, symphony, Broadway, opera, museums: Dallas has everything "art" you could ever want to see, and we break a leg every time.